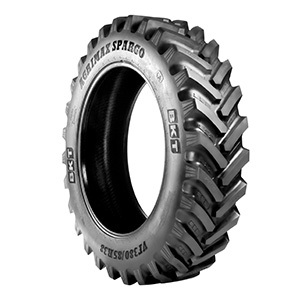 AGRIMAX SPARGO is the special BKT tire for row crop applications. It has been designed for enhanced productivity in the fields and preserving the soil in the long term. The tire provides excellent self-cleaning features in addition to higher load capacity at standard pressure. AGRIMAX SPARGO ensures an outstanding traction along with strong stability both in the fields and during road transfers.